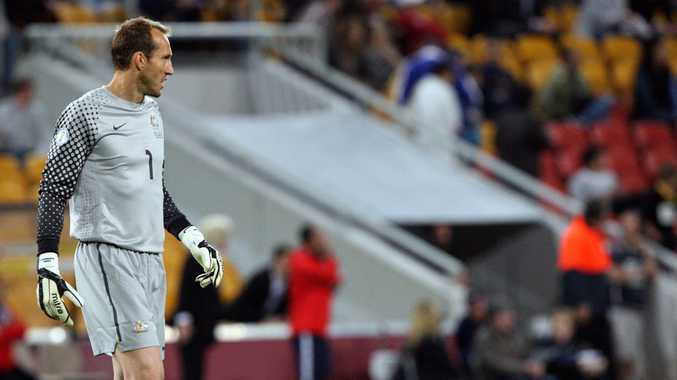 MARK Schwarzer is the last line of defence. But even the 39-year-old goalkeeper cannot save the Socceroos all the time - just look at what happened the last time they played against Oman in a World Cup qualifier. The Omanis scored an upset 1-0 win against Schwarzer and his teammates in Muscat last November, a result which meant the Aussies had to wait a while longer to progress the next stage of the qualifiers. But progress they did, as did Oman, now it's game on again if the Socceroos want to qualify for the 2014 FIFA World Cup in Brazil. The two countries go head-to-head in the heat of Muscat tonight in the Socceroos first game in the five-nation Group B, the final phase of qualifying for Rio. Asian Cup champion Japan beat Oman 3-0 in Tokyo on Sunday in the first group game, but Schwarzer, the most capped Socceroo of all-time with 95, still knows he and his teammates will have to be at their best to come away with a win. "It's going to be a very tough beginning for us and it's also going to be a very tough campaign," Schwarzer, who has only tasted defeat on four occasions and has conceded only 13 goals in 26 FIFA World Cup qualifying matches stretching back to 1994, said. "They'll be very tough, if you look at the last game we played against them, they played very well at home and deserved to win the game. "On the other hand, we were very much below par, but taking nothing away from Oman, they deserved it. While he was focused on beating Oman, Schwarzer, who plays for Fulham in the English Premier League, said playing in the World Cup finals again would be great. "It'd be huge (to qualify), that's why I've continued again, that's why I believe that I'm still good enough to play at this highest level, I believe that we can qualify for another World Cup," he added. Kick off is at 11pm AEST on Fox Sports. The Socceroos will play Japan in Brisbane on Tuesday. The remaining pool games are spread over the next 12 months.